Friday and Saturday nights were both exciting nights of football. 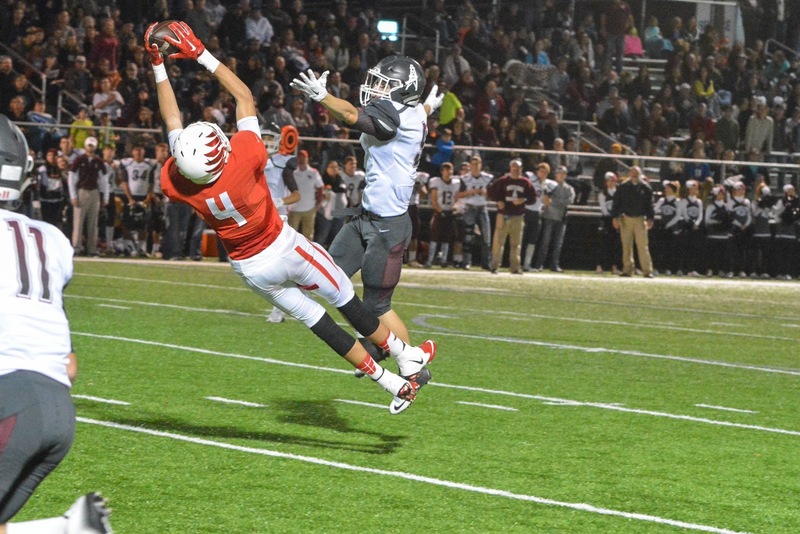 Friday, Terrell hosted a playoff game between Pottsboro and White Oak. 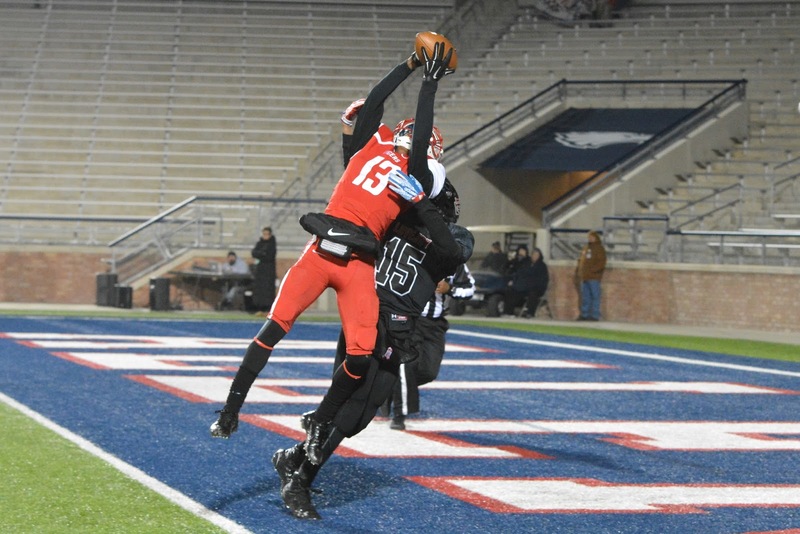 Saturday, Terrell played at Allen Eagle Stadium against Lovejoy. 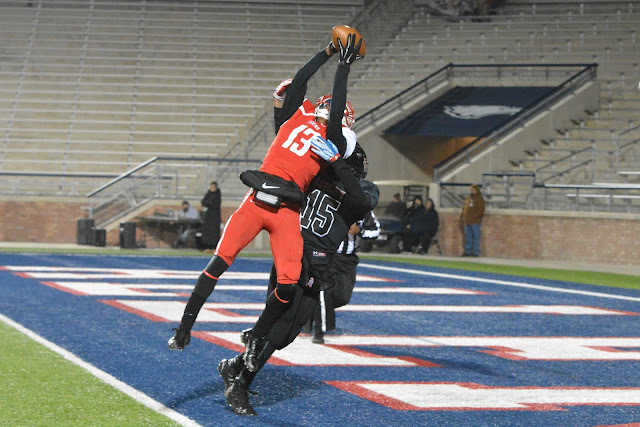 Terrell's Zakabarium Porter makes a jumping catch for a TD fort he Terrell Tigers vs Lovejoy in their 5A Area round game. Terrell won 28-27 in overtime. Pottsboro High Schools Matthew Poe makes a difficult catch Friday night vs White Oak in the 3A Area playoffs in Terrell, TX.